Brainwashed - Datashock, "Kräuter der Provinz"
I have made a few sincere attempts to appreciate this shifting German collective over the years, but Datashock have proven to be a very hard act to wrap my head around. At times, they have seemed like an indulgent, improv-heavy pastiche of various seminal krautrock artists, yet they also have moments where it feels like they are actually the rightful heirs to the throne vacated by folks like Amon Düül II and Can. In fact, I suspect the latter would especially appreciate the perverse post-modern genius of Datashock being an ethnographic forgery of their own cultural heritage. I know I certainly do. In any case, this is the first Datashock release that has truly clicked for me. It is still uneven and exasperating at times, but such missteps are a rare exception and the second half of the album catches fire beautifully. 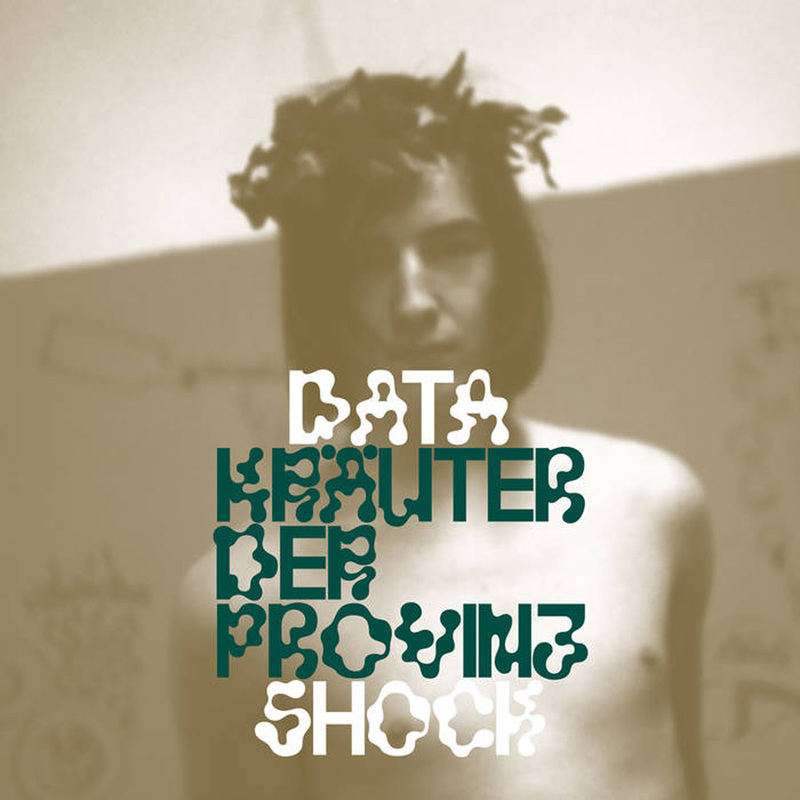 While Datashock remain deeply and unapologetically in the thrall of the past, the best moments on Kräuter are inventive and inspired enough to transcend and surpass most of the bands they are hell-bent on channeling. I suppose I cannot fault Datashock for opening Kräuter with "Hullu Gullu, Wir Liefern Shizz," as it seems like the perfect piece to lure in fans of krautrock revivalism (presumably a significantly larger audience than those of us seeking legitimately outré fare). Unfortunately, such a naked homage to Neu's "Hallo Gallo" is also the perfect piece for alienating me, as my tolerance for noodling solos and genially burbling motorik grooves is quite close to zero. Unless an artist using a motorik groove as a jumping off point for something far more radical than cheerily choogling into infinity, I truly do not understand the point of revisiting that formula in 2018: it is a rhythm that feels too plodding and blandly tame to exist in a culture that has since experienced four decades of vibrant rhythmic evolution. Thankfully, Datashock get considerably more gleefully deranged with "Wenn Alle Wollen, Will Uch Auch!," which sounds like a funky tribal groove burrowing into a shimmering cloud of chimes and jabbering animal noises. Most of the piece's appeal lies in the inspired combination of that wonderfully off-kilter beat with the simmering miasma of squelching and gibbering wildlife, but there is also a structured song lurking in there, as a languorous and lyrical flute melody winds through that surreal landscape to hold everything together. It is a wonderfully kooky, playful, and unselfconscious convergence of experimentalism, collage, improvisation, and satisfying momentum that erases all of my lingering disappoinment with "Hullu Gullu." In classic Datashock fashion, however,the simmering Eastern drone-meets-free-jazz piece that follows ("Im Zuchtstall Der Existenzhengste") sounds like a completely different band altogether. That is a recurring and fundamental feature of Datashock's work that takes some getting used to, as the chameleonic ensemble is not interested in channeling one particular krautrock band–they are intent on channeling EVERY single one of them (sometimes more than one at once). At times, my more critical side dearly wishes that this band would pick a focused vision and stick with it, but their freewheeling unpredictability has a definite appeal that eclipses my misgivings when they pull a particularly surprising rabbit out of their hat. For example, "Spirituelle Enthaltsamkeit Im Sandwichverfahren" is a gorgeously woozy synth reverie that swirls with a ghostly fantasia of swooping and sliding strings. Elsewhere, "Halb-Halb, Wie Ein Guter Kloß" is another slow-burning gem, gradually transforming from a droning reverie into some kind of surreal desert-trance jam disorientingly engulfed by overlapping chants and distant sirens. "Schönster Gurkenschwan" is yet another delightful surprise, unexpectedly evolving from a gorgeously sublime drone piece shivering and pulsing with chirping synths and whimpering strings into something resembling a chorus of malfunctioning pinball machines. The show does not end there, however, as the pinball machines prove to be merely a gateway into a churning, howling, and skwonking void of deep space cacophony. One of usual perils of improv-minded ensembles is a predictable arc that heads inexorably towards a crescendo of density and raw power, so it is refreshing that Datashock only take that path this one time. Since I was not expecting it, it made its intended cathartic impact. If I pick it apart song-by-song, I suppose Kräuter Der Provinz is only a half-great album, as Datashock are definitely prone to meandering jams and indulgent song lengths. Also, they are not at all shy about appearing derivative (they celebrate it, in fact). Taken as a whole, however, this album feels like something far greater than the sum of its songs: a deep, sustained, and gently hallucinatory plunge into a world where concepts like time and place become very fluid and blurry. Also, the various scenes that Datashock conjure into being (jungles, deserts, black holes opening up in a pinball arcade, etc.) are generally quite vividly realized and richly detailed, making this an excellent and wonderfully absorbing headphone album. Aside from that, I find Datashock to be a uniquely fascinating band in their own curious way, as they are akin to a galaxy of stars that unpredictably converge into radically different constellations every time they come together. I have no idea who is steering this ship at any given moment nor what their motivations might be and I genuinely enjoy that. In most ensembles, that would be a great recipe for an absolute mess, but Datashock's better moments make that approach feel vibrant and adventurous in all of the best ways. Samples can be heard here.